Many players and audiences nowadays are involved with hand sports, such as handball, volleyball, and basketball. The most important equipment of these games is ball. Each ball has its own characteristics and has to be made according to the rules of its federation. Many characteristics were defined for an approved handball, volleyball, and basketball by IHF, FIBA, and FIVB, respectively. These are including material properties, mass, pressure, etc. These characteristics so far have been well defined by many researchers to get the most efficient performance from a ball. Nonetheless, the mechanical properties of these balls so far have not been comprehensively studied. 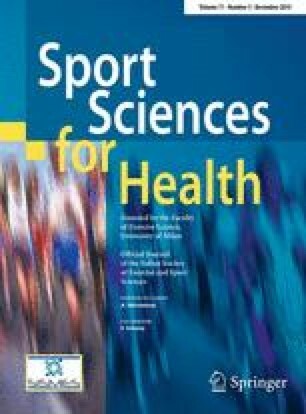 Therefore, this study was aimed to experimentally measure the compressive mechanical properties, including linear elastic, nonlinear hyperelastic, and viscoelastic (Prony series), of the handball, volleyball, and basketball using digital image correlation technique. To do this, 26 of each approved balls were mounted on a testing machine, and a set of quasi-static compressive and stress-relaxation loading were applied to them. The stress–strain and reduced relaxation function of the samples were calculated and compared. The results revealed the highest elastic modulus for the basketball (591 kPa), while the lowest one was observed for the handball (17 kPa). In addition, volleyball showed to be able to bear 5.941 and 1.615 times more stress compared to the handball and basketball, respectively. The hyperelastic material models, namely Mooney-Rivlin and Ogden, were employed to address the nonlinear mechanical behavior of the soccer balls. Finite element model of each ball was established as well and the obtained numerical data were found to be in good agreement with that of experimental ones. Many injuries to the human head have been attributed to these games due to the balls’ high speed. However, so far these injuries to the human eye have not been studied. The findings of this study, therefore, may have implications not only for understanding the mechanical properties of the balls, but also for providing raw data to investigate the injury that can be occurred for the human body by these balls, especially the eye. The data analysis has been carried out under the ethical rules of Tehran University of Medical Sciences based on the 2008 Declaration of Helsinki.